Doral will soon be the home of another brand-new apartment rental community. Signature at Doral began construction in June of this year, and it's first out of eight buildings is to be completed by late February of next year with the first wave of move-ins expected to occur around the same date. The community will be located on the corner of 41st street and 114th avenue, a block away from the Florida Turnpike exit. AREA Property Partners has worked with CC Residential to bring this project to life. “Our company acquired the land from a bank, and we decided to go forth with the project,” said Andrew Frey, Project Manager for Signature at Doral. CC Residential received a $42 million loan from PNC Bank for the project. The development will include eight four-story buildings housing 352 units in total as well as a 10,000 square foot clubhouse, a business center, sauna, a fitness center, swimming pool, fire pit and game room for residents to enjoy. CC Residential is now taking inquiries from potential prospective tenants but as of now, leases are not yet being signed. This project is two-fold: The project includes plans for Signature at Davie, which is also under construction. They both take the places of Lakeside at Doral and Toscana at Davie, respectively. The Davie project has plans for 350 units total. Many developments in Doral and Miami are currently being constructed and sold to investors or prospective homeowners at which point the owner can usually rent out to whoever is interested. 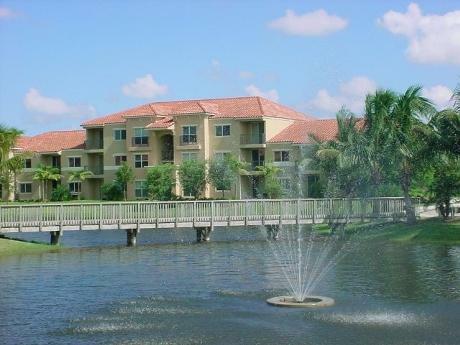 However, that is not the case as Signature at Doral is a rental community. The interest here is to find potential renters directly in efforts create a successful money making venture that is appealing to companies looking to invest in the entire project. “Rental communities cause a perfect storm of supply and demand, said Frey. Frey explained that a high demand for rental properties combined with the current low supply of them allows development companies to create successful revenue streams from these projects. The real estate market and construction industry has seen a boom in the Doral area for the last few years. Doral is one of the few communities in the country and state that has been growing despite a sluggish economy. The location of several large employers is one of the reasons the economy of Doral is so strong. The high quality of living is another factor that contributes to the growth of the area. The City of Doral is constantly striving to improve the life of its residents through low taxes and projects to build and improve the infrastructure of the community. The Signature at Doral is another example of the booming construction climate of the Doral area. Another project has been approved for CC Residential. This third project is also located in Doral and is still in pre-construction The project is estimated to have 249 rentable units.